Statistically 80% of new businesses fail in the first 5 years, and out of those remaining, 80% fail in the following 5 years – which means that only 4% of businesses make it past their 10th anniversary! 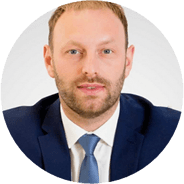 As a leading firm of East Midlands Accountants, we have helped hundreds (possibly thousands) of startup businesses and many of them have gone on to be hugely successful – some reaching turnover of £10m and more. Using our vast experience of working with these businesses, and our expertise in business, finance and taxation, we can help you avoid the mistakes many new businesses make so that you succeed. 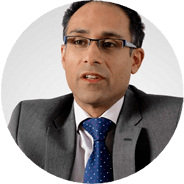 Call Hari on 01332 242257 or email hari.vasdev@sibbald.co.uk to arrange a free consultation and speak to him about your plans. Out of all the business owners we work with, only a handful have had any formal business training. Most are skilled people with technical knowledge of the product or service they deliver. By combining this technical knowledge and the ambition and determination of the business owners, with our years of training and experience as Derbyshire accountants and trusted business advisers, we create a winning team – capable of achieving results beyond expectations. Call David Bowler on 01332 242257 or email david.bowler@sibbald.co.uk to arrange a complimentary no obligation discussion about your goals. The two most common reasons new customers give us for choosing us over their existing accountants are returns not being filed on time or taking too long to file, and that they feel they are paying too much tax. Our specialist East Midlands based tax team can offer support ranging from basic compliance – completing your returns, advising of the amount payable, and checking correspondence from HMRC – through to bespoke tax planning for income tax, capital gains tax and inheritance tax. Working closely with you to identify future tax issues, allows us to plan in advance, so that there are no surprises and you can take appropriate action to minimise or eliminate those taxes. 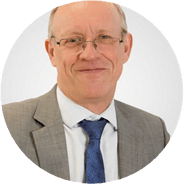 Call and speak to our tax specialist Terry Grant on 01332 242257, or email him on terry.grant@sibbald.co.uk and arrange a free no obligation meeting to discuss your tax affairs. Senior accountant – We are recruiting for a senior accountant who is qualified ACA or ACCA or qualified AAT (with 4-5 years post qualified experience). We are delighted to announce that Natalia Kruk has successfully completed all her exams and apprenticeship, receiving her MAAT status. She is now training towards becoming an ICAEW Chartered Accountant. Changing accountants can be a really daunting experience, and a decision that most people take a long time to make – even when they aren’t getting the level of service and value they need. We’ve made the whole process as simple as possible for you, by introducing our ChangeEASY service – it takes less than five minutes of your time and we do the rest!